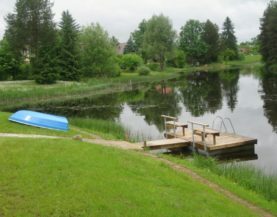 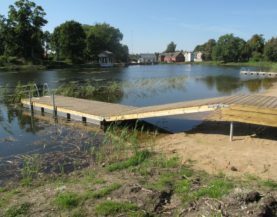 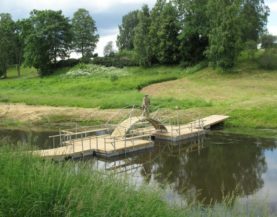 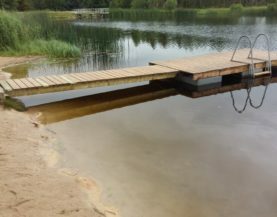 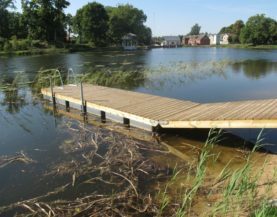 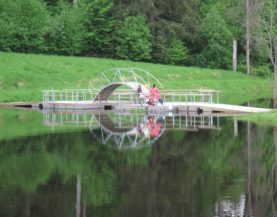 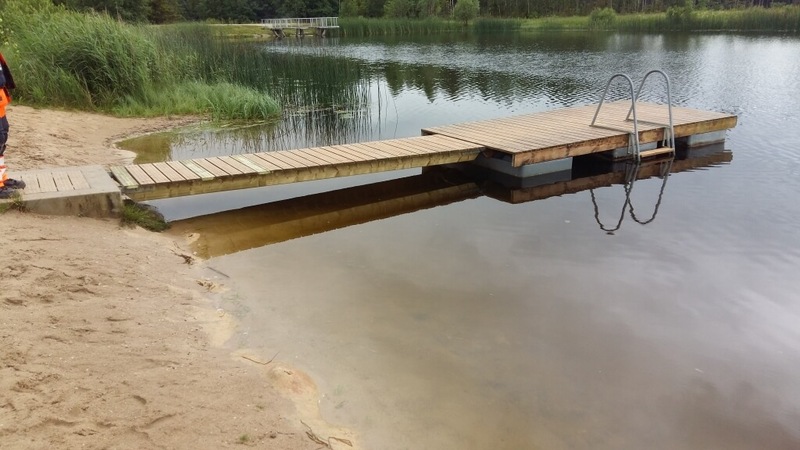 The swimming pontoon ECO is a long-term cost-effective solution that suits perfectly as a swimming pontoon or boat pontoon for home and is ideal for beaches of inland waterways. 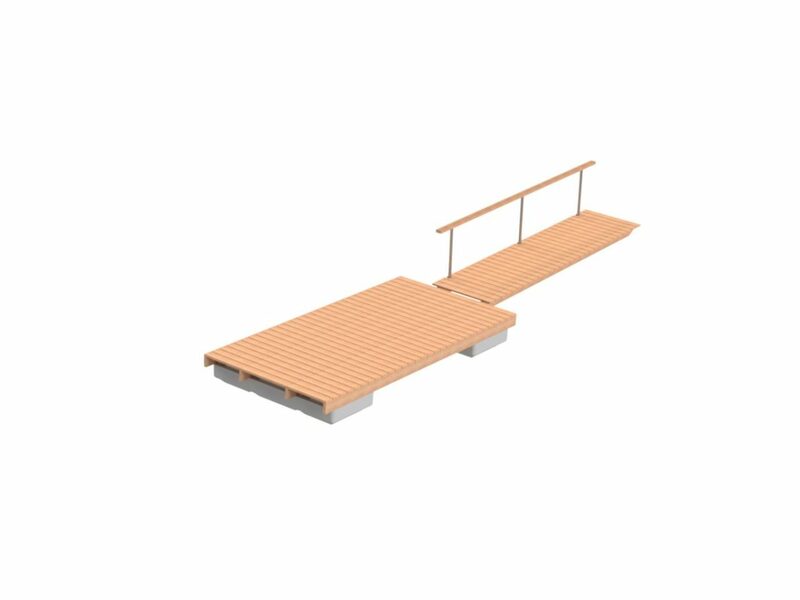 Using standard modules, you can create a swimming pontoon with a suitable length, shape and load capacity (see the examples below). 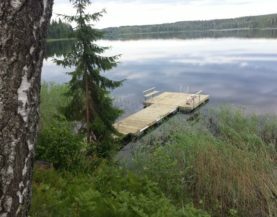 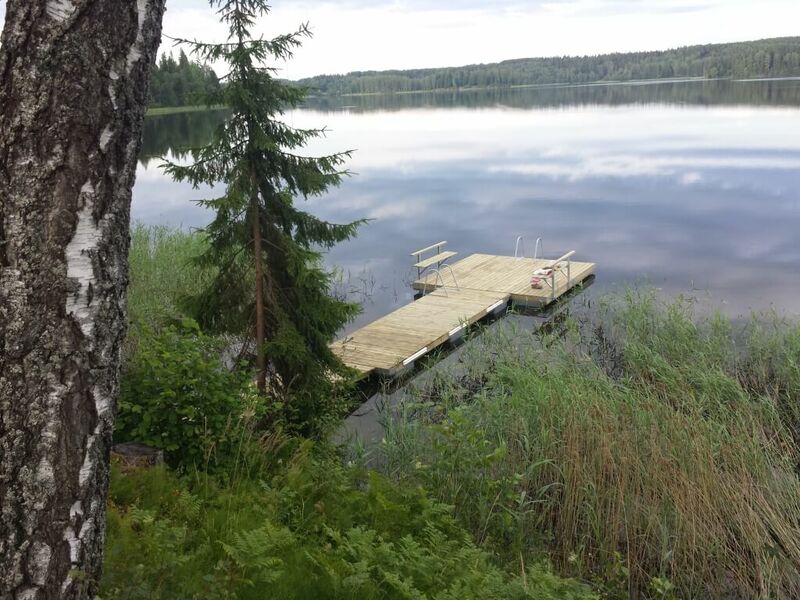 You can successfully use the floats under a floating sauna or a floating platform. 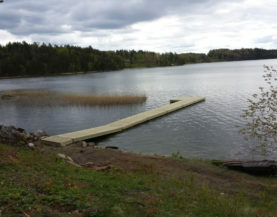 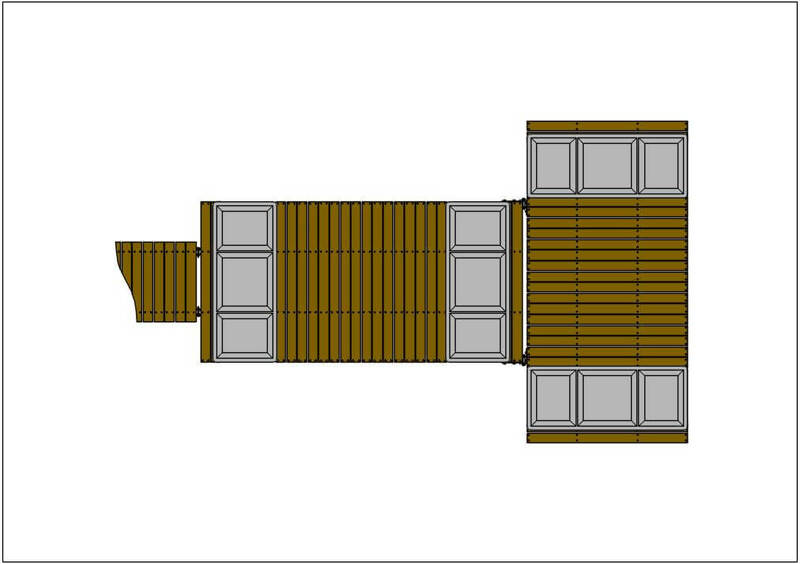 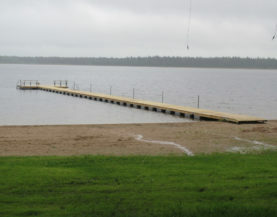 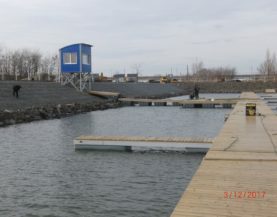 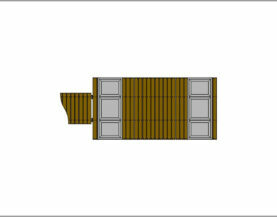 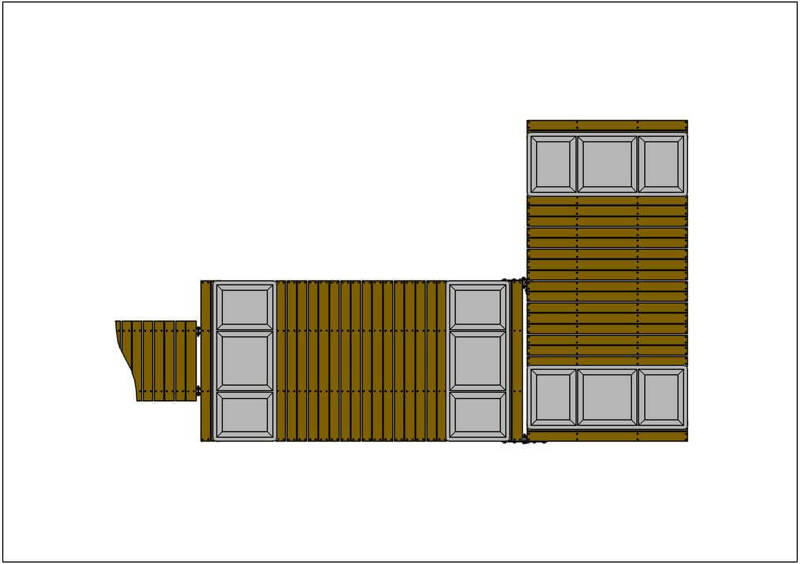 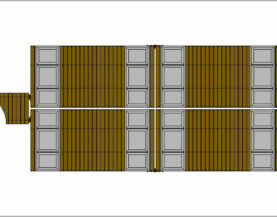 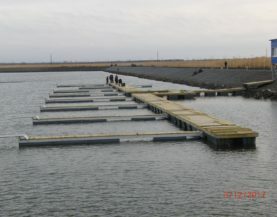 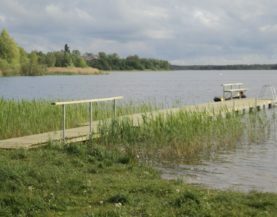 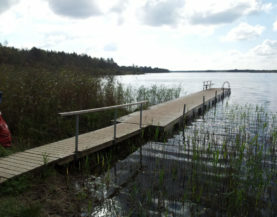 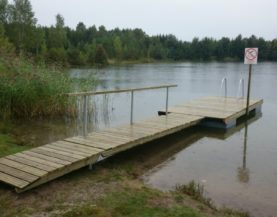 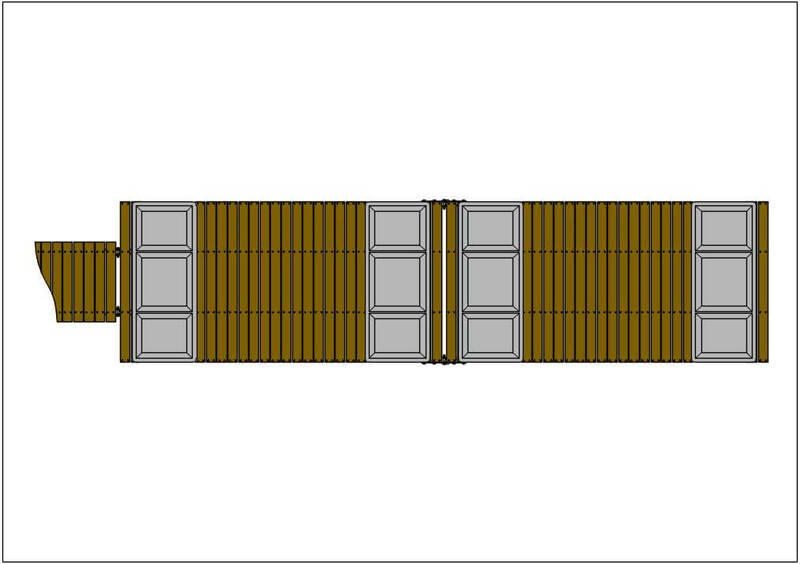 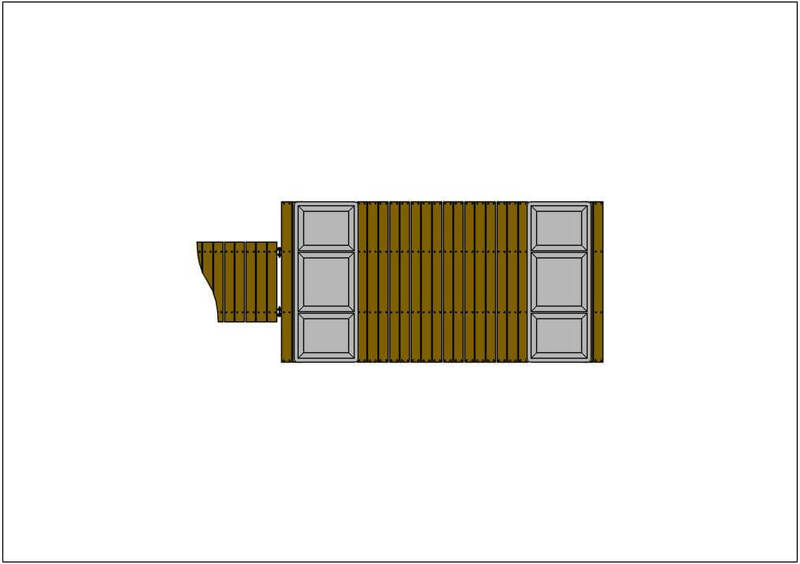 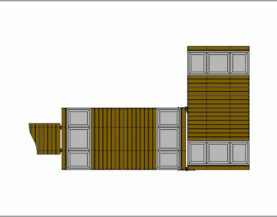 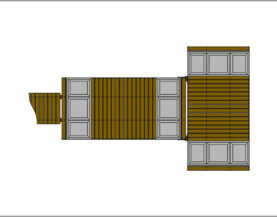 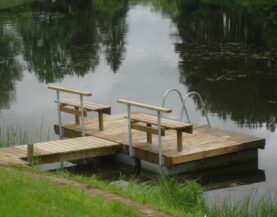 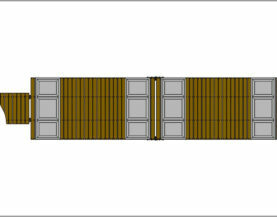 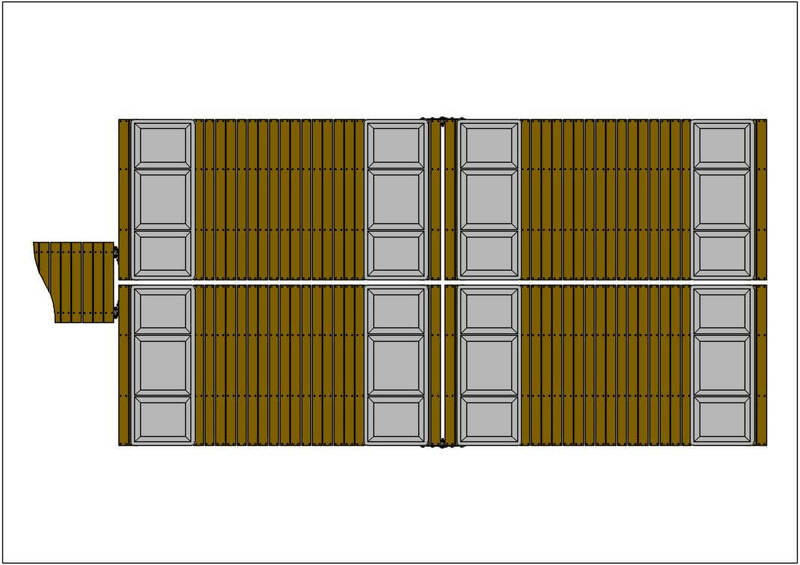 An existing pontoon can be extended later in length and width. 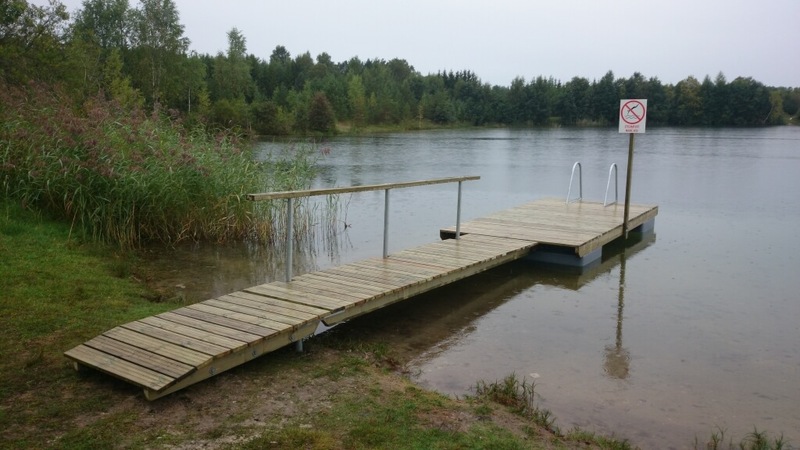 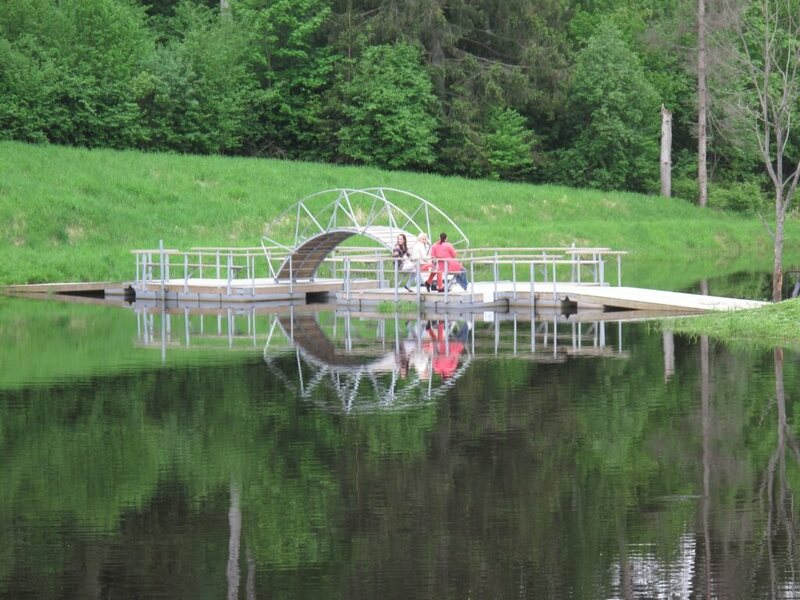 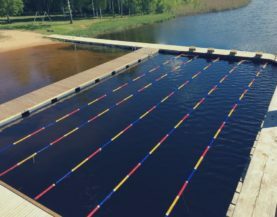 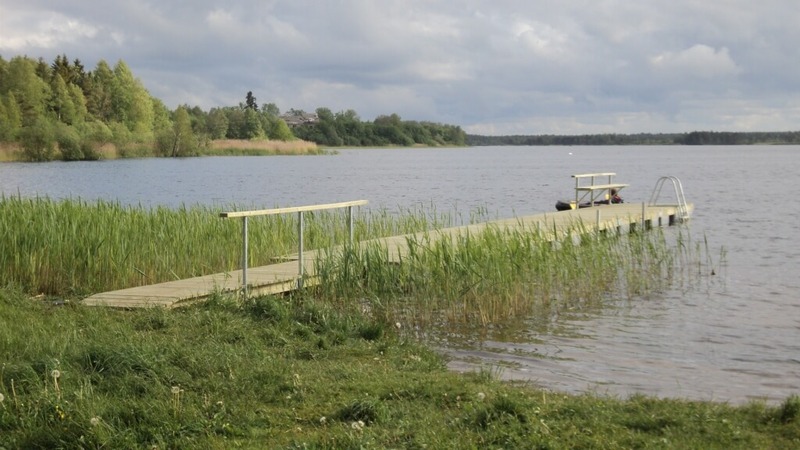 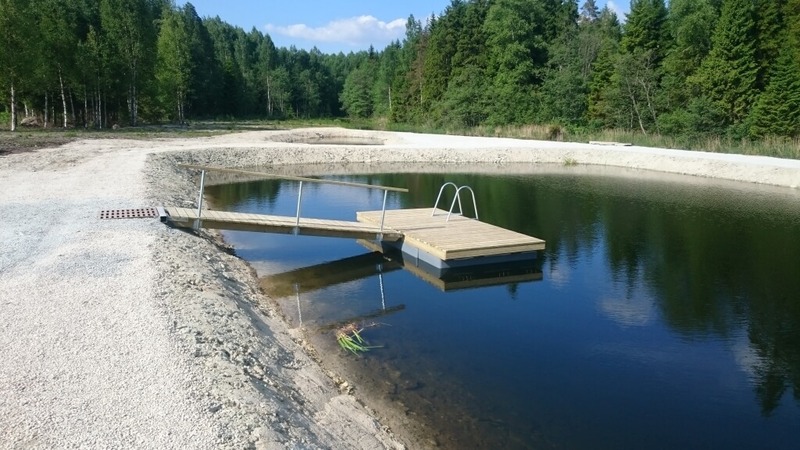 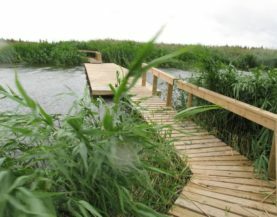 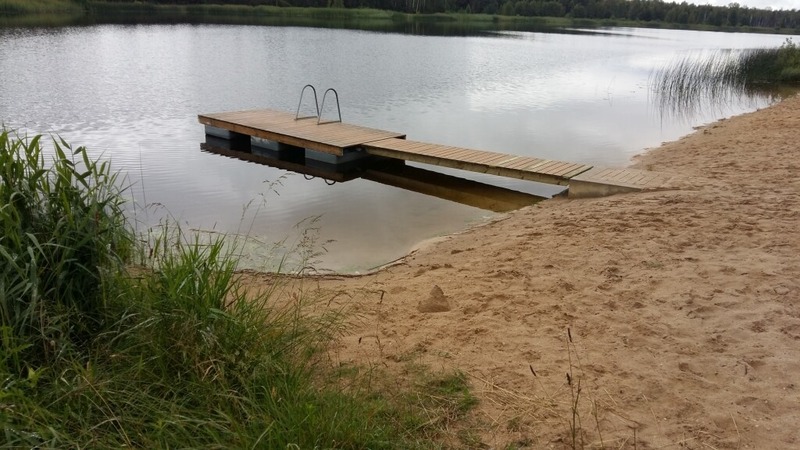 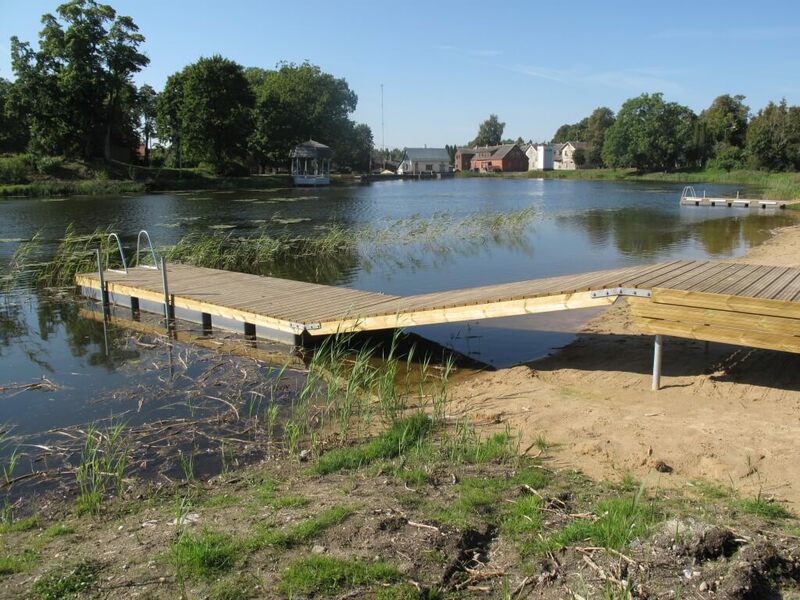 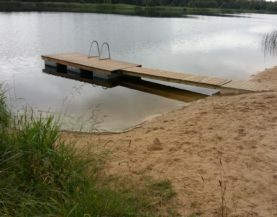 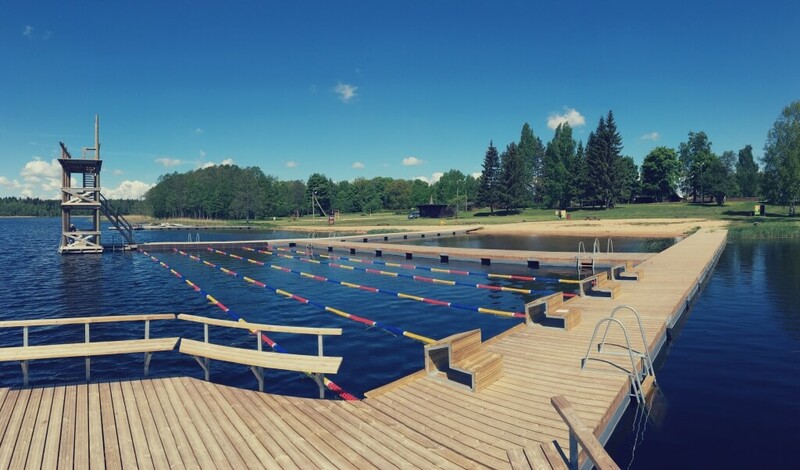 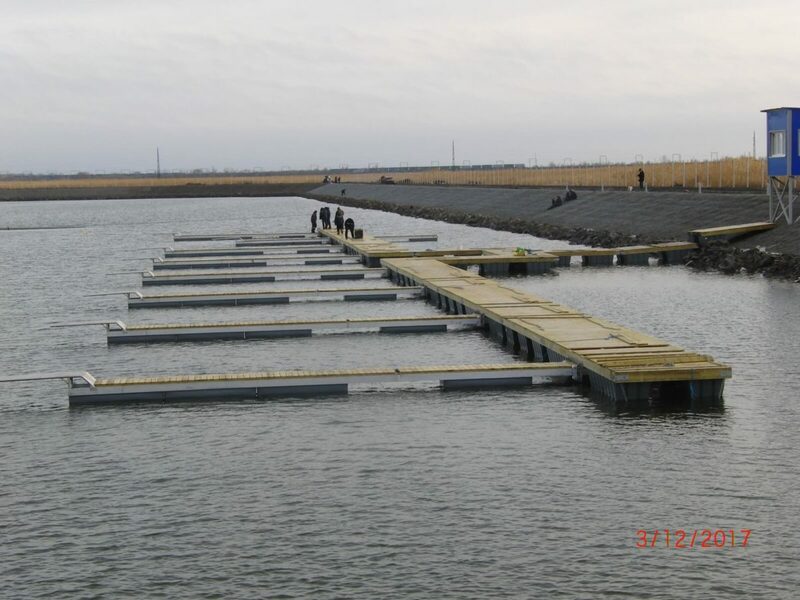 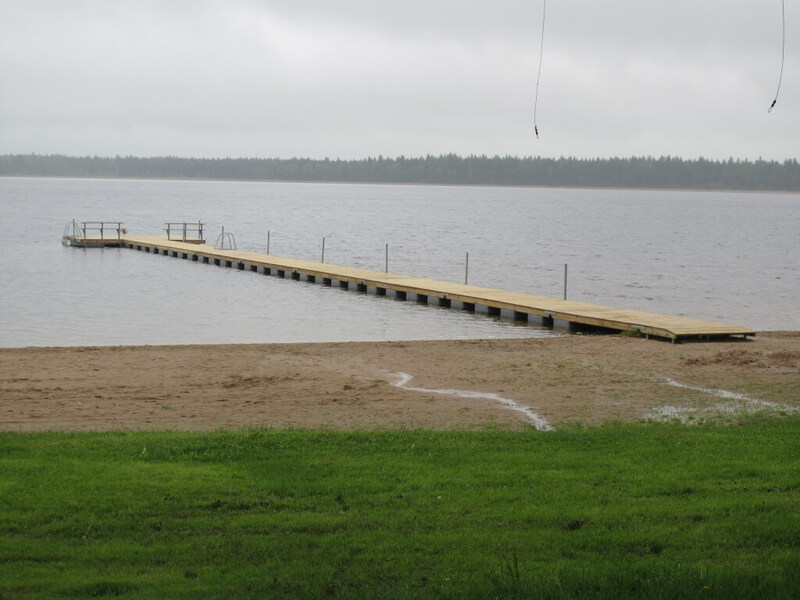 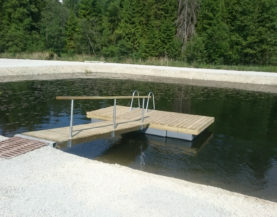 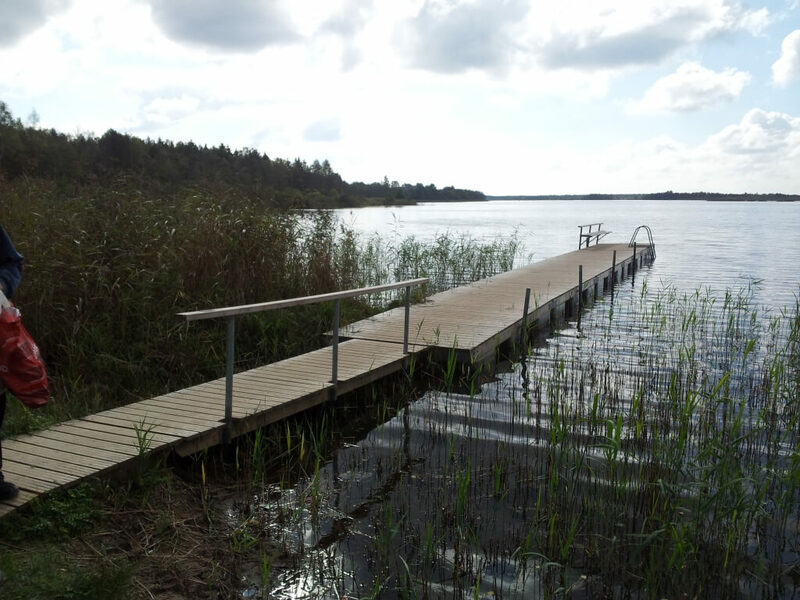 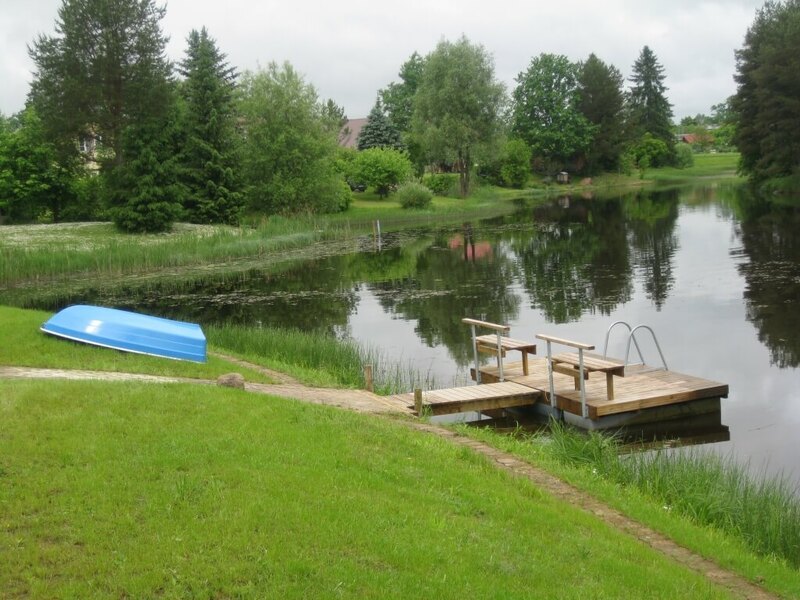 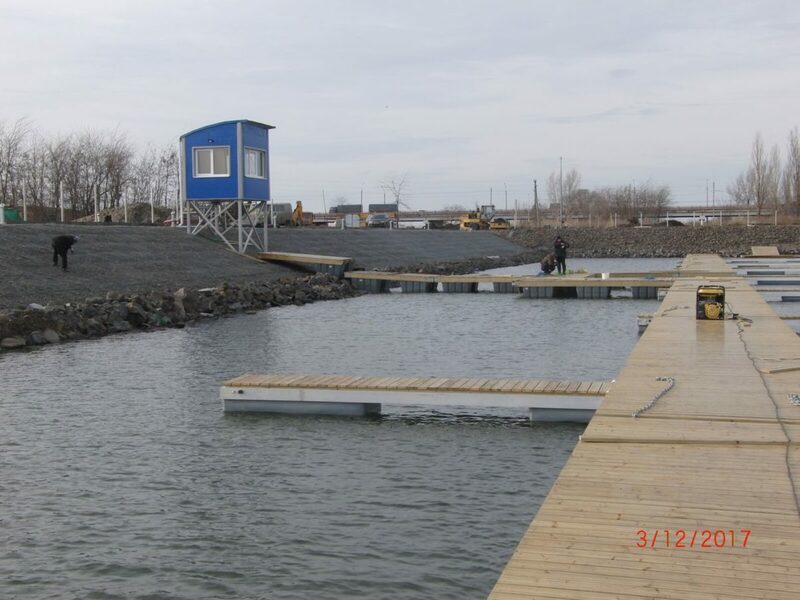 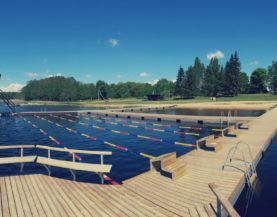 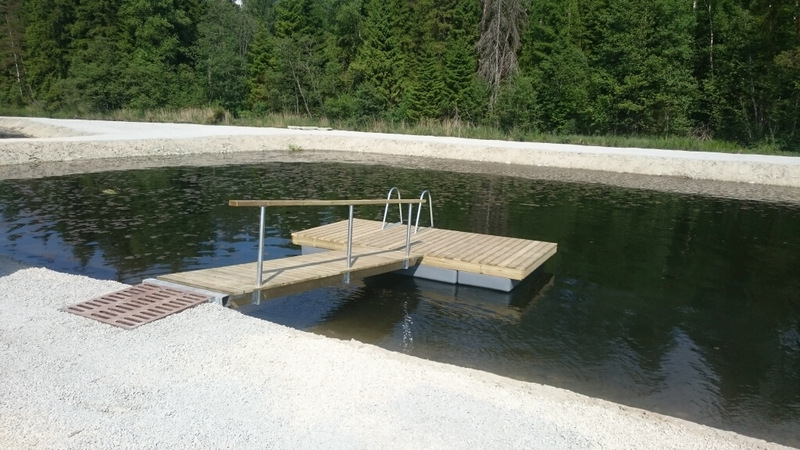 The standard width of the swimming pontoon ECO is 2 m and the standard lengths are 4 m, 5 m and 6 m.
The ECO pontoon can be positioned horizontally or longitudinally with the bank, and pontoons with one module can be anchored if you have a strong abutment. 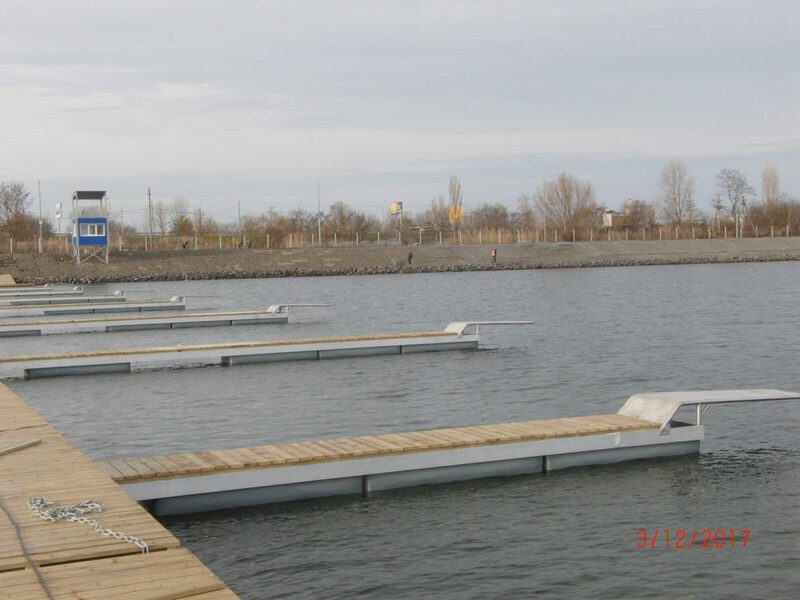 Longer structures are anchored using concrete anchors, mooring chains, mooring piles or mooring diagonals. 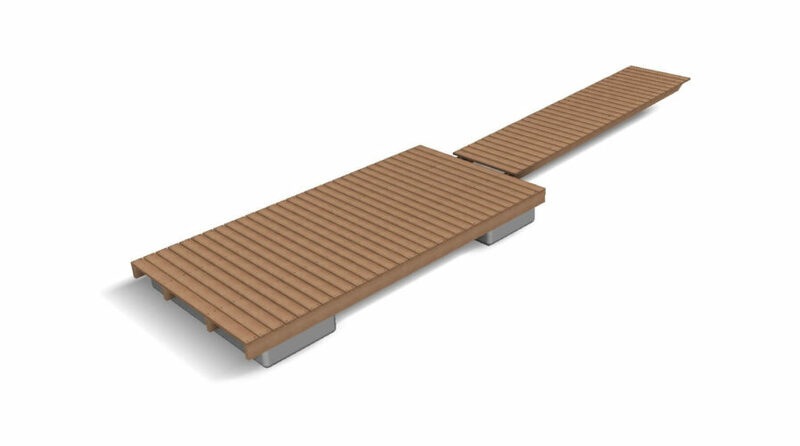 The strong load-bearing structure is made of deep-impregnated softwood and the decking is profiled to avoid sliding. 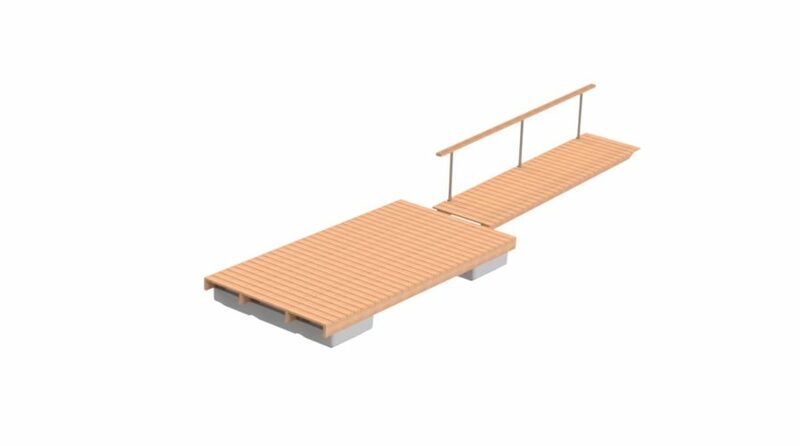 Also, the wood materials used are sorted by strength and finger-jointed, which guarantee top-notch quality and durability. 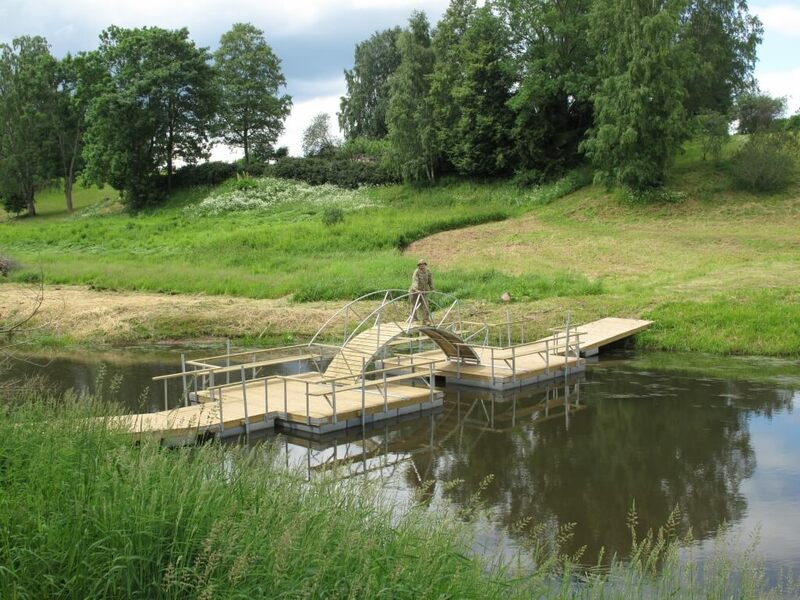 All metal parts have been made resistant to environmental impacts with hot-dip galvanizing. 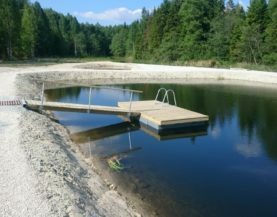 The ECO 400 l plastic floats are manufactured using rotational molding, making them resistant to UV rays, ice and hits from rocks. 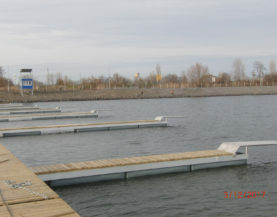 Floats are empty inside, making them light and easy to handle. 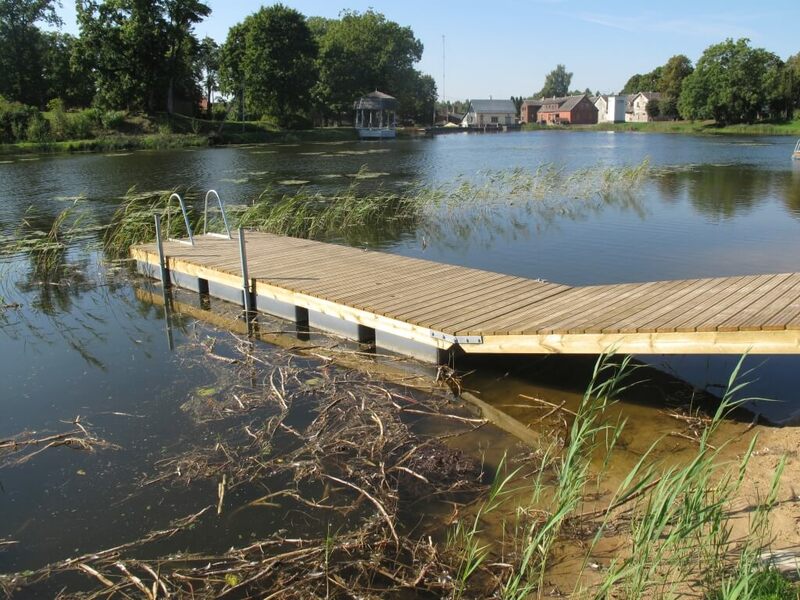 The floats have a very low draft and are suitable for waterways with fluctuating water levels or on swampy soil. Thanks to its compact size, it’s easy to transport the swimming pontoon yourself. 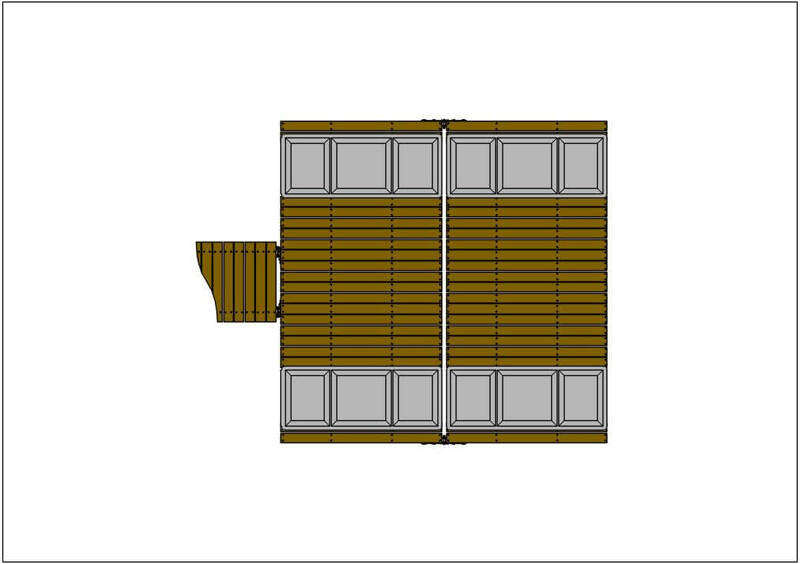 The installation can be ordered from us, or you can do it quite easily by yourself (read more information below). 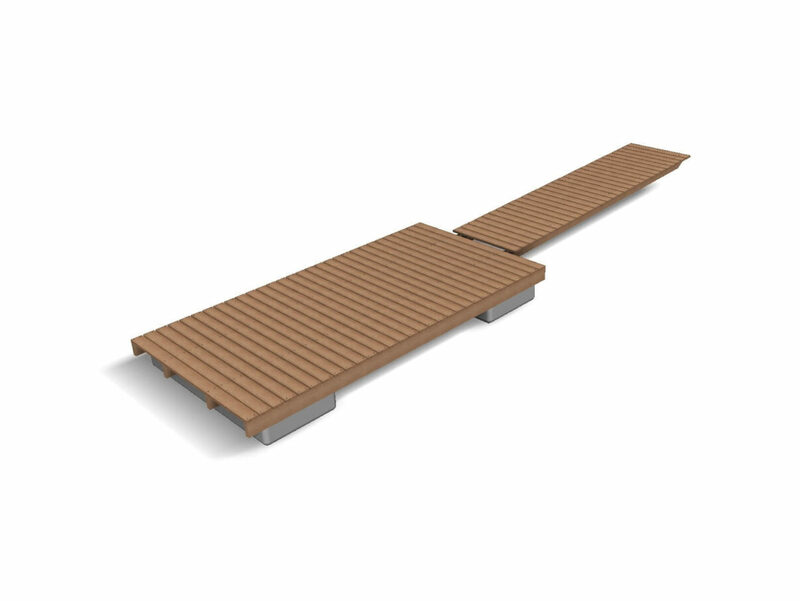 A range of accessories are available, including side decking, ladders, railings, fenders, mooring rings, lighting posts and a lifebuoy set. 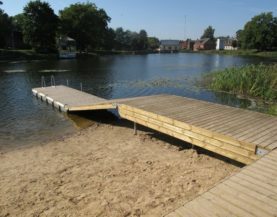 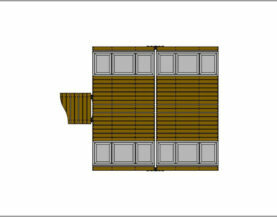 You can make your pontoon especially exclusive with noble wood decking or LED-lit bollards. 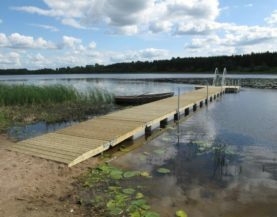 For the winter, we recommend the swimming pontoon ECO to be dismantled, as freezing may damage the structure of the product. 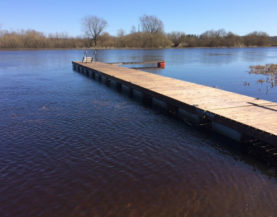 However, you know the ice situation and average water level of the future location the best, so write or call us, and we’ll give you advice on what you should do. 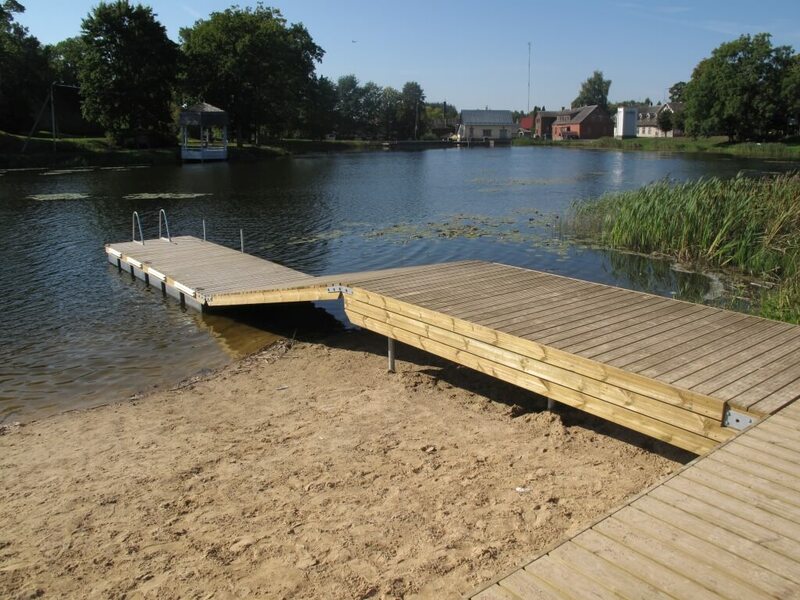 Load capacity 647 kg, weight 126 kg, freeboard height 0.4 m.
Load capacity 631 kg, weight 169 kg, freeboard height 0.37 m.
If you are able to handle a cordless drill, you can set up the pontoon on your own in half a day by following the instructions. 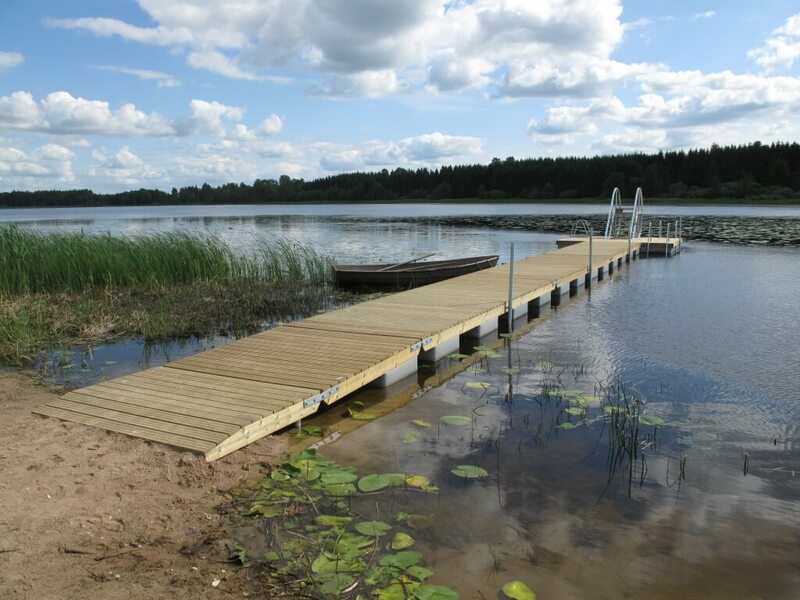 The installation guide can be downloaded from here and we are here for you if you have any questions.